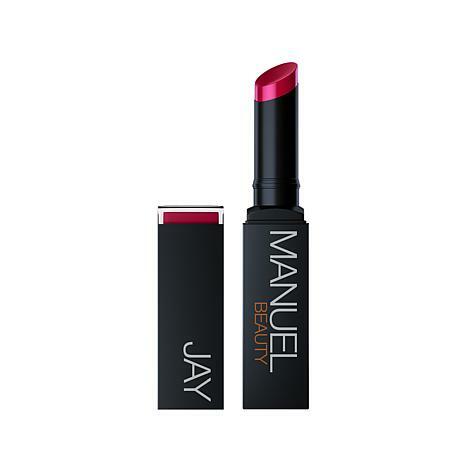 Make a statement without saying a word in these high-intensity lip colors from Jay Manuel. These moisture-rich luster matte lipsticks give you the creamy, non-drying satin finish you crave so you can purse, pout and pucker up. Jay Manuel has hit this one out of the park. 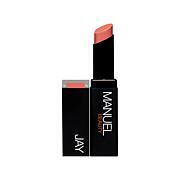 The lipsticks glide on and the colors are great for darker skin tones. I brought a lot of his product and got my sister to do the same. Keep the colors coming. This was the first time I tried/used Jay Manuel Lipstick. I've seen him for years on America's Next Top Model. Once I learned he has a line of beauty products, I could not wait to try something! I love this lipstick & I highly recommend it. A VERY SATISFIED CUSTOMER!! Woohoo!!!! Consistently is the name here. The color is fabulous...and the consistently is there...Smooth, clear and spot on gorgeous! Give it a try...it stays on a long time. Love this! 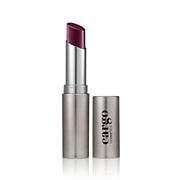 I love lipstick, but was hesitant to pay this price on something I could not test on my skin tone first. I'm glad to say that this is one of the best lipsticks I've ever owned. The red is a beautiful color, vivid, but not too bright. It wears well, is long lasting, didn't feather and stayed smooth looking even after a few hours wear. I'm very pleased with this brand. I love this lipstick. I have ordered three colors so far, the dark purple, camel and vice. i call these model colors. I get recognized by everyone wearing this lipstick.. Co workers come up to me and say wow that is a really nice lipstick color. I wear the dark purple on the week ends and night out because i am olive skinned toned and it would be to dark to wear to my place of employment.. I love all colors and I love that it last all day. Eventually I would like to own all colors.